Man the fishing was on fire today. I went on a sunday funday fishing trip. Just soaking up the sunshine, It was one of those days were there was no stress involved and we had our limit in just a couple of hours. We got a late start but my cousin was out there a day break and between him and one of his fiends they had at least 25 fish landed by 10.00am. Call me and let’s get a trip together while the fishing is still hot. 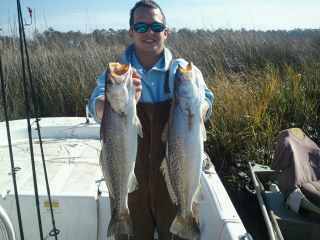 1-5-12 Trout Fishing Is Absolutly On Fire In The Backwaters In Holden Beach, N.C.
Holden Beach Charter Fishing in the backwaters with Rigged and Ready Charters is not just a fishing trip, It’s also a lifelong memory of an adventure that will blow your mind. 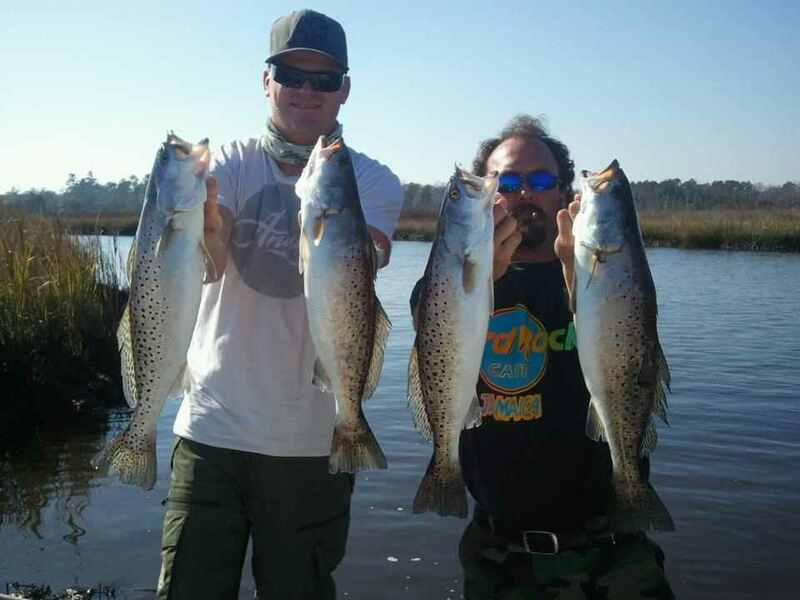 If you’re an avid fisherman or someone that’s never even picked up a fishing pole a Backwater Fishing Charter with Captain Kevin Sneed of Rigged and Ready Charters is going to be a trip you will never forget. Today the Speckled Trout bite was on fire. It was like clock work, every cast we were hooking up. We landed over 70 fish with 90% of them over the 14 inch mark.